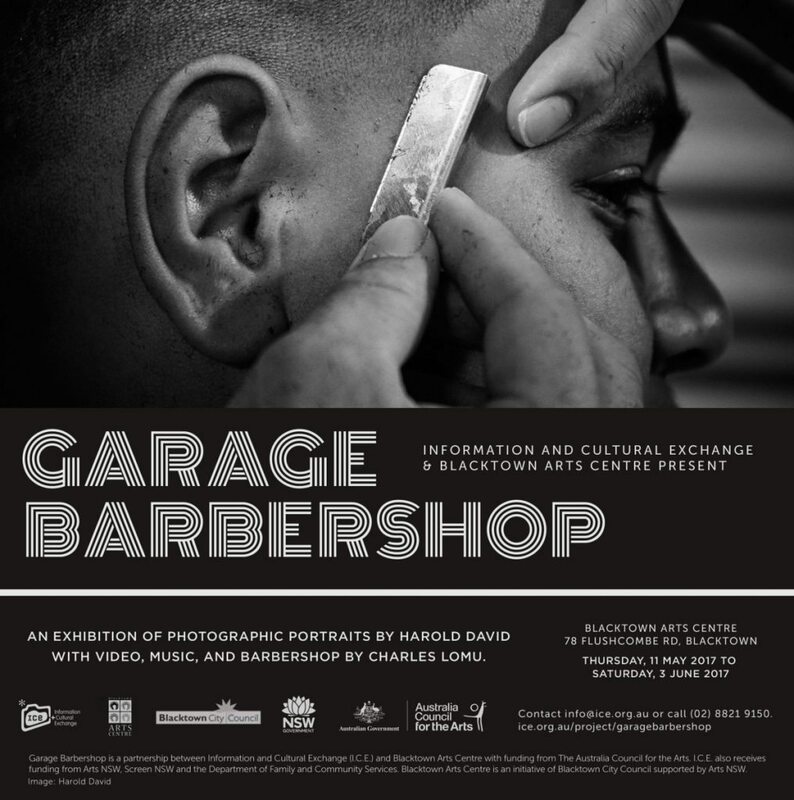 Garage Barbershop culminated in an exhibition at Blacktown Arts Centre, sharing photographic portraiture and urban reportage from acclaimed photographer Harold David alongside video interviews with barbershop regulars. Plus an onsite, working barbershop offering ‘check ups from the neck up’. Visitors can make an appointment for a free cut, fade or shave by Charles Lomu and the ‘Original 5’ every Thursday during the exhibition. The modern barbershop has been a place for men to gather, talk, groom and even sing. Once a place for bloodletting or to have a tooth removed, barbershops have evolved into special places; much like a mens shed with a different type of tool. 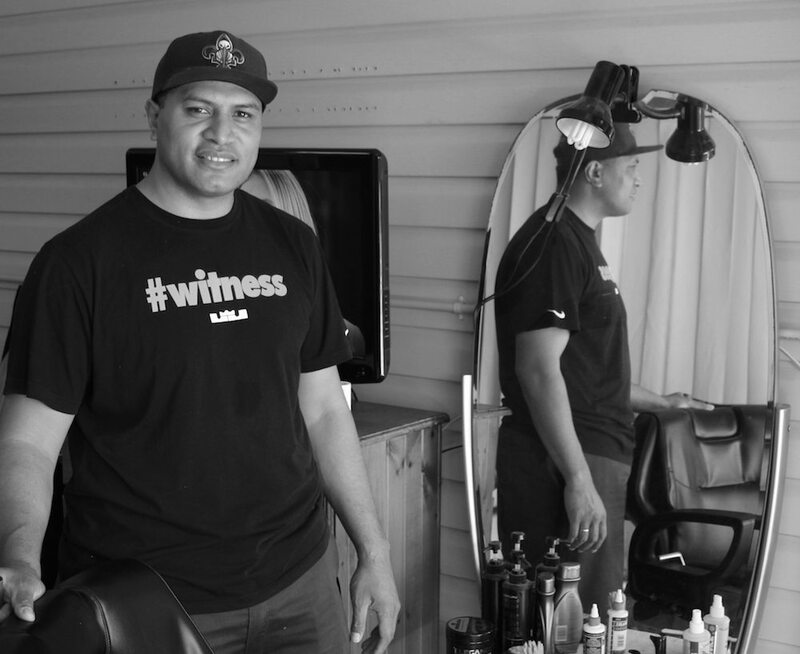 Our great friend and long time collaborator Charles Lomu, A.K.A Six Pound, has chosen to operate his barbershop from his garage in reaction to the commercialisation of barbershops. His aim is to create a stronger community, emphasising family through his shop. Charles’s barbering is of the modern, urban style, exploring fades, grooming and fashion that break the stereotype of men from Western Sydney and beyond. The Garage Barbershop project will collaborate with Charles to foster this culture through several stages including workshops, photographic and video portraiture, music and free cuts. 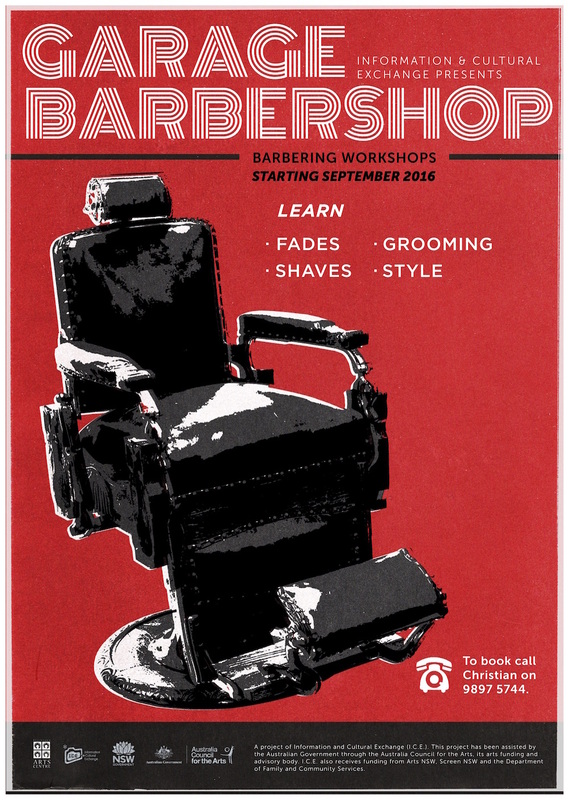 In 2016 Garage Barbershop ran ten weeks of intensive barbering skills development workshops. 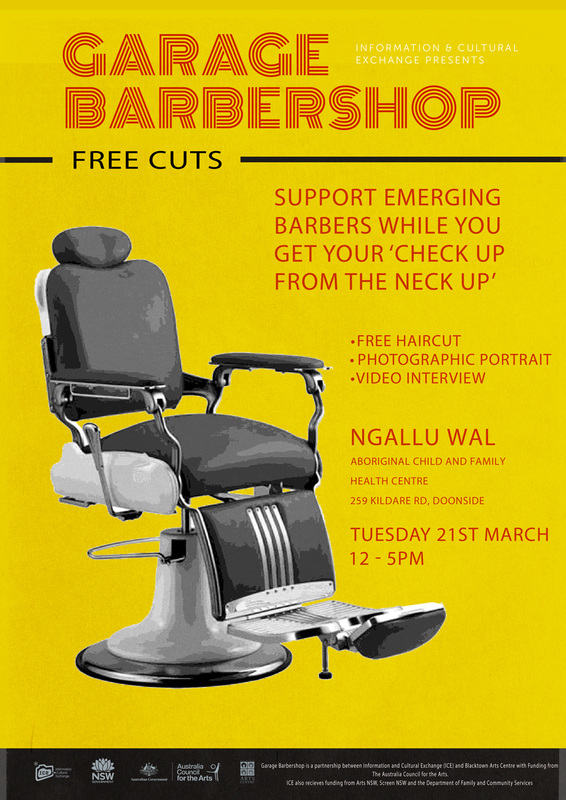 Five young men from Pacific Islander backgrounds joined us on a journey of self discovery, social inclusion and leadership exploring what it means to be a man in today’s society whilst preparing themselves for careers as the next generation of barbers. These five young guys have been dubbed ‘The Original 5’. Throughout our workshop and engagement process we have worked with photographer, Harold David, to create a body of photographic portraiture and reportage examining masculinity, urban cultures and styling from the barbershop and Blacktown. Harold’s work provides a unique insight into the journey of ‘The original 5’ and the experiences of the men who come for haircuts. His work is a reflection of the Garage Barbershop as a central place for men to express themselves and their own individual masculinity. 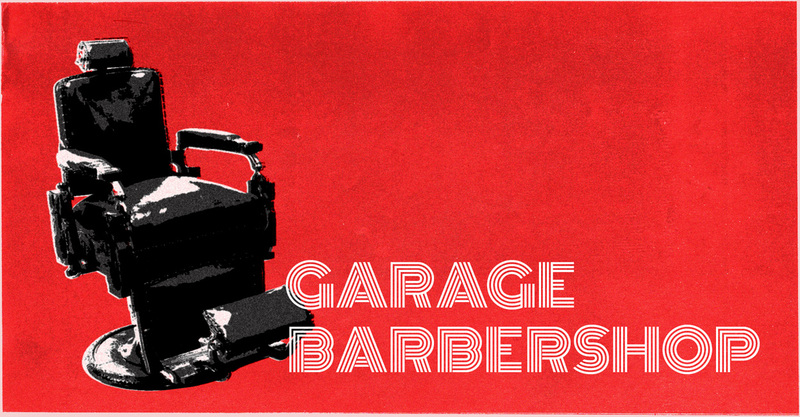 Throughout Garage Barbershop fifteen local men were interviewed about masculinity and the place of barbershops in their lives. These interviews will be packaged together and presented as part of the Garage Barbershop exhibition at Blacktown Arts centre. The Garage Barbershop team attended Ngallu Wal Aboriginal Child and Health Centre on 21 March so our friends from Doonside could get their ‘check up from the neck up’. We were privileged by the opportunity to talk with the local Aboriginal elder men about issues of manhood and masculinity and share stories about barbershop experiences. We feel honoured that some volunteers had portraits and interviews done for inclusion in the Garage Barbershop Exhibition opening in May. 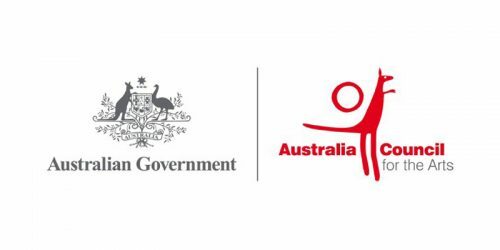 This project has been assisted by the Australian Government through the Australia Council for the Arts, its arts funding and advisory body. I.C.E. 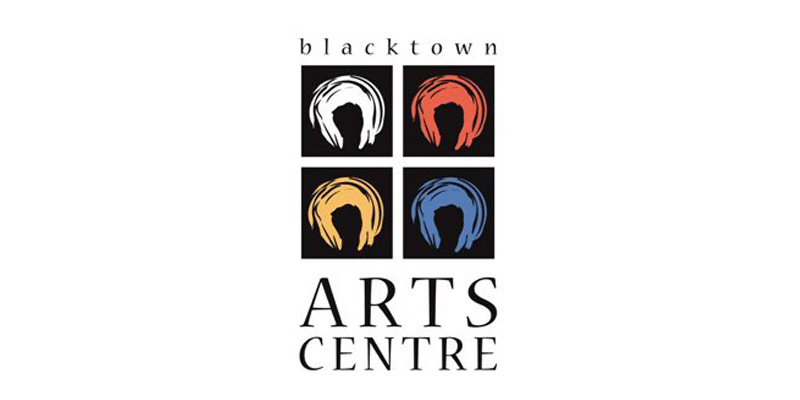 also receives funding from Arts NSW, Screen NSW and the Department of Family and Community Services.